What a great experience we had at Canada’s Bridal Show when meeting and interacting with so many brides and grooms. Besides, we were happy to meet their amazing supportive friends and family members. We had a blast dancing for you and with you, meeting you all in person, chatting about your love stories and dream weddings. We were also honored to give you advice on how to make your first wedding dance a memorable and beautiful experience. What is Canada’s Bridal Show? Canada’s Bridal Show is one of the most prestigious wedding exhibits in Canada. It is held at the Metro Toronto Convention Centre, a great venue for such large-scale events in the heart of the 6ix. Moreover, Canada’s Bridal Show gathers the best vendors in the wedding industry under one roof for all the brides and grooms to meet in just three days. And we were one of them! 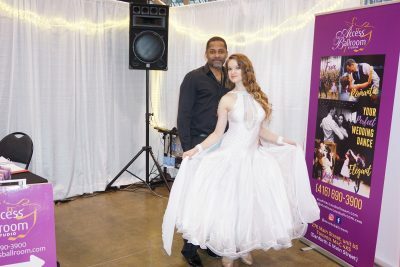 At Canada’s Bridal Show, we were so excited to be able to share our passion for helping people to grow through dance. WEDDING DANCE PACKAGES: We specialize in making people look good when dancing in the shortest period of time. Whether you want something simple, yet elegant and stunning; or a full-on intricate wedding dance choreography, we’ve got you covered! We will prepare you for your first wedding dance step by step. 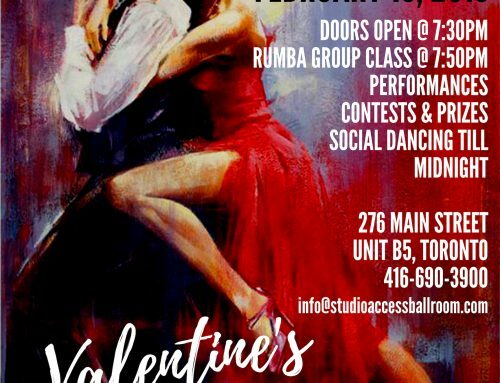 Additionally, you do not need any prior dance experience. BRIDAL PARTY DANCE OR PERFORMANCE: We will prepare your bridesmaids and groomsmen to give an amazing show to your guests. A fun flashmob or a spectacular group routine – anything your heart desires. PROFESSIONAL DANCE PERFORMERS AND ENTERTAINERS: We would absolutely love to perform a dance at your wedding! 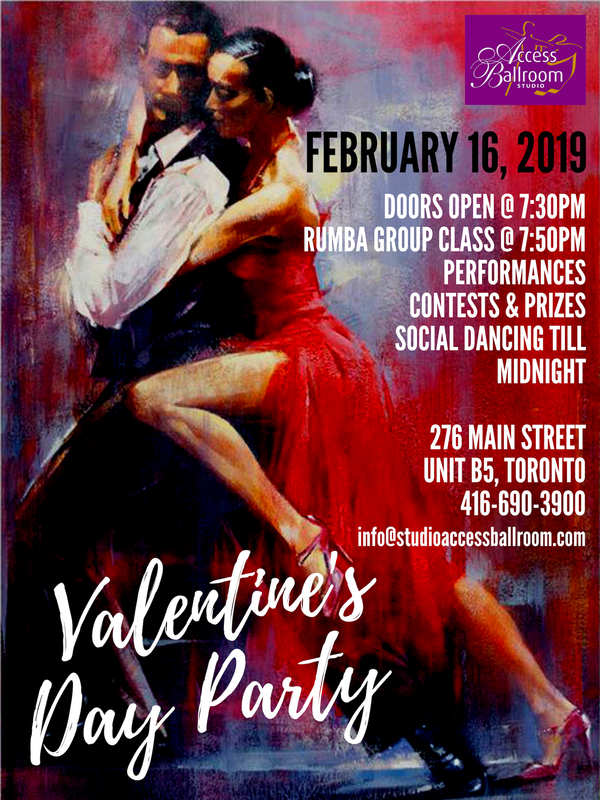 Sensual Bachata, playful Salsa, romantic Viennese Waltz, or passionate Tango… So let us know what style you are looking for and we will take care of the rest! 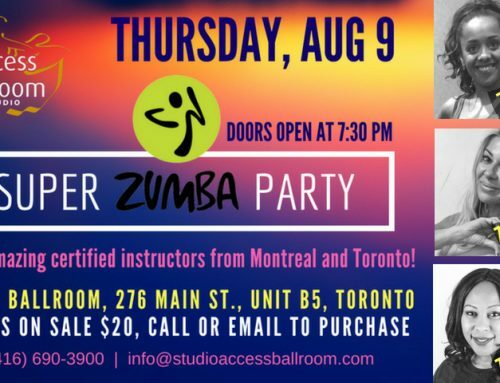 BACHELORETTE AND BACHELOR PARTIES: Learn to dance together with your bridal party! You’ll have a blast while moving to your favorite music and learn some moves to use at the wedding party! EMCEE SERVICES: MC Gil Bee keeps your guests entertained, the party energy high, and the dance floor full! He will ensure that you and your guests have a blast at your wedding party. Interactive games, dance contests, karaoke into the mic… You name it, he does it all! 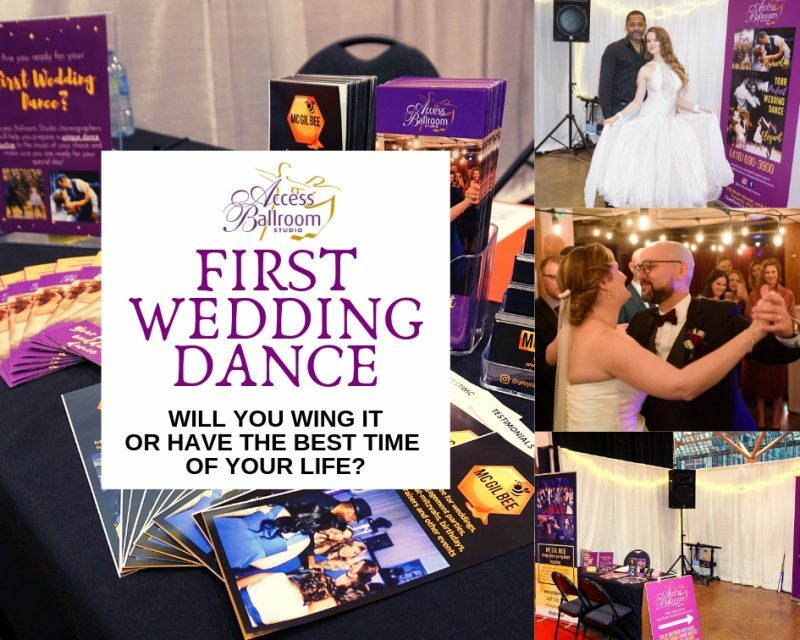 Why Take Dance Lessons for Your First Wedding Dance? Let us be honest, weddings in North America are usually not cheap, an average couple spends around $35,000 on their wedding. You pay for the flowers, the dress, the tux, the photographer, the limo, the decorations, plus also catering, the DJ, the emcee, the rings and more. Why should you add dance lessons to all of this too? First of all, you are going to have to do it [dance], so might as well look good instead of awkwardly rocking side to side in a circle for 5 boring minutes and wishing for it to end! Plus it will be all over everyone’s Snapchat, Instagram, Facebook, as well as on all the pictures and videos that you will be paying for to show to your grandchildren. Don’t you want to look good there? Second, this is the skill that will last a lifetime. 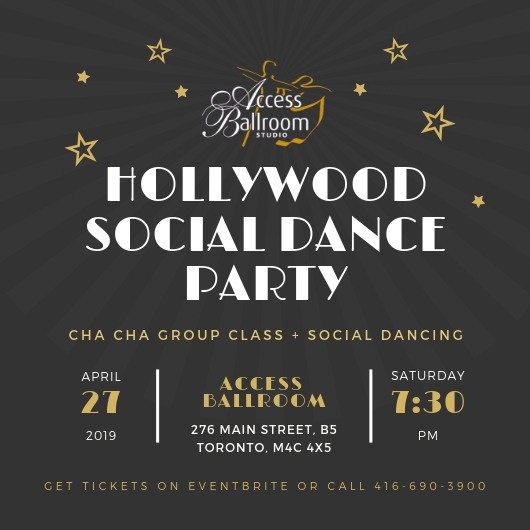 At Access Ballroom we won’t just teach you a routine. We will teach you how to dance together, listen to each other by communicating through body language. You will be able to improvise anywhere and everywhere. 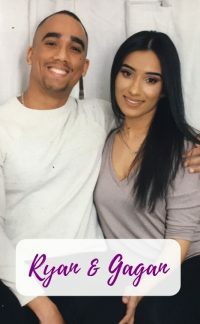 Congratulations to the beautiful couple Ryan and Gagan! 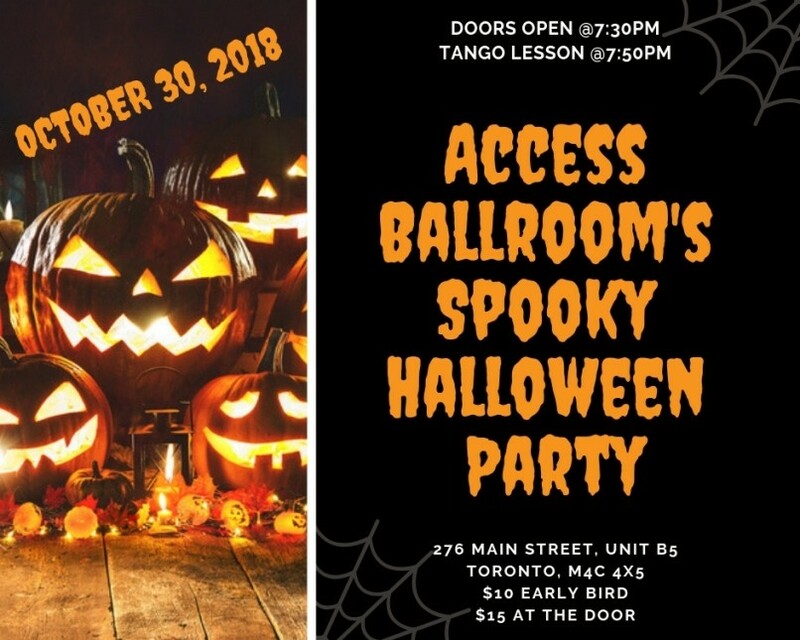 You have won a Wedding Dance Package for a couple of 6 private lessons from Access Ballroom. 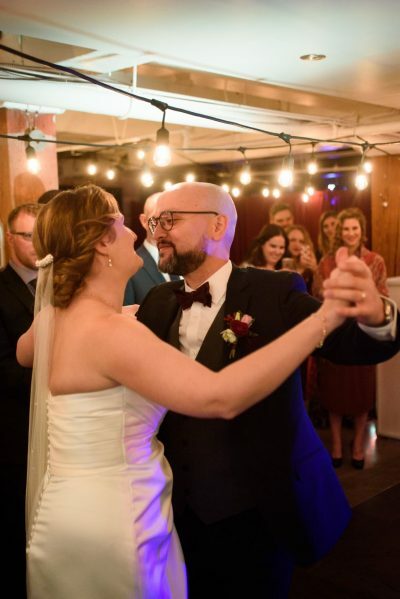 We look forward to helping you make your wedding dance a memorable and beautiful experience that will also wow your guests! Hope you already know the song you would like to dance to! *To find out who the winners were for the MC Gil Bee draw, click here. Go through each aisle and talk to vendors to find out what they do. They may surprise you with the type of amazing services they offer to make your wedding spectacular and memorable. Ask about specials and discounts. The vendors will tell you about the amazing deals, promotions, and contests that you can enter to win a bunch of free stuff! Sign up for everything and save money! Ask questions and advice. You will be meeting some of the best experts in the industry, so use it to your advantage. Go during the quiet times if you feel overwhelmed. If you are the type that hates big crowds of people, get to the show on Friday or during the less busy times on weekends (before noon or 2 hours before closure). This may take a bit of pressure off of your shoulders. Read the pamphlets and keep the contacts. There may be lots of useful information in the pamphlets and flyers, as you might not have the time to speak with each vendor and get much detail. Read them over after the show and contact those you like the most for competitive services and pricing. Furthermore, you will be meeting so many vendors that you may actually forget the names of their companies. And that is where the pamphlets and business cards come in very handy! Wedding planning can be intimidating, so help them feel less overwhelmed. For example, help your newly engaged friends by talking to the vendors, asking the right questions, and just being involved and excited. Support and respect their choices. They want their wedding day to be perfect, which means perfect for them. You may have different opinions of what a perfect wedding should be like. And this is completely fine. Just be respectful of their opinions too. Allow them to enjoy the spotlight. Whether you are already married yourself or still looking for the one, it is not about you, but your friend (family member). Therefore, step back and allow them to enjoy the euphoria of the wedding planning. Prepare early. This includes decorations, banners, lighting, promotional materials, the booth set-up, transportation, etc. Also, we suggest that you pre-order services like electricity or wi-fi early to take advantage of discounts if applicable. Interact with the guests. Tell them what you do. Do not be afraid to approach them. Some might be shy and some love the spotlight. Either way, they are looking to learn more about making their wedding an amazing one, so help them. Stand out. Be unique and do something different. 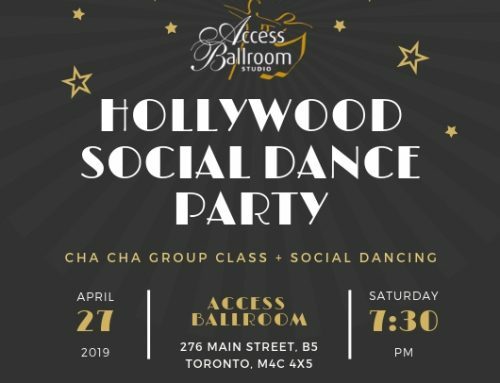 For instance, to present Access Ballroom we did lots of dance demonstrations and mini dance lessons, which everyone enjoyed. Other vendors stood out by using unique decorations, offering chocolates or ice cream while talking about what they do, or showing their work on TV screens. Talk to your neighbors and make connections with other vendors. Providing different services in the same industry is a great advantage. In fact, it is a win-win situation. You get to recommend each other to your clients, so you both double the number of people that know you, and plus your clients also get to find the right experts quickly. We hope that this information was useful for you. And we look forward to having you at the studio to help you make your wedding dance a perfect one. Questions? 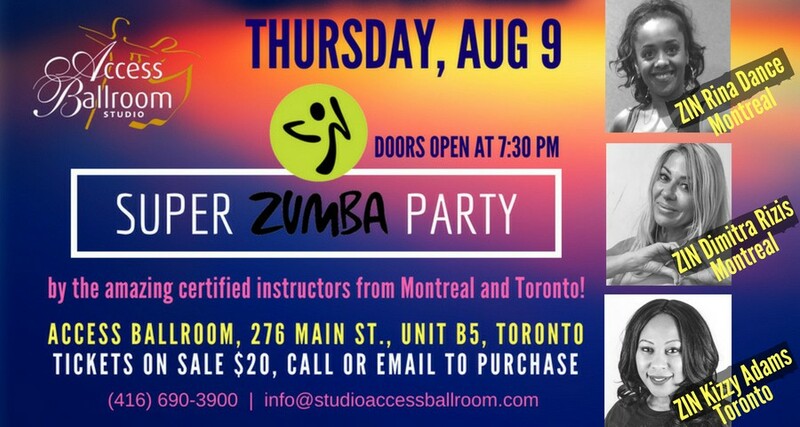 Call 416-690-3900 or email info@studioaccessballroom.com.